This past week was full of discussions about the backyard. I shared photos in this post, but now that we have given it more thought, some of the ideas have evolved a bit. I want a backyard escape, a place to read, to enjoy a beer or a glass of wine. We love entertaining, so we would love to see more seating so that everyone is comfortable, and it wouldn’t hurt if we could get a lovely view from inside the house too. Now that I know which elements we can incorporate, and which elements are most important to us, I need a plan and a budget. I found this image on Pinterest, and a great tutorial for the project at kaylasbasement.blogspot.ca – This is the inspiration. More seating for entertaining // We are going to make two benches at the back of the patio, most likely of cinder blocks and wood. From what I can tell, this will run us about $40 for the materials. Cinder blocks cost a little over $1 at Home Depot, and then we will need pressure treated 4×4’s, which run about $9 for an 8 ft post, and I will need 3. So, that means $12-$15 for cinder blocks and $27 for lumber. This could be cheaper if we have lumber in the shed, but we will check that out prior to the big Home Depot shopping trip. 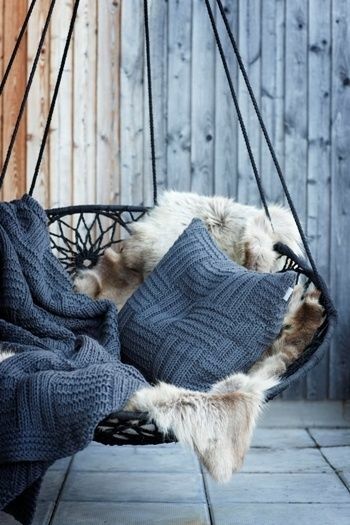 This image is my inspiration, so beautiful and cozy. Click on the image for the original source. Reading nook // We are looking into weatherproofing our papasan chair, and I was able to find some sealant for just under $20.00, and it will help prevent any moisture from collecting on the wood frame. I need to make a stop to my local fabric store to see what kinds of outdoor fabrics they have, so I can entertain the idea of re-covering the cushion. I have checked on-line, and it could be about $9/yd, and since the cushion is quite large, this could be a pricey update. Maybe at the local fabric store I can find some deals. Aside from weatherproofing the papasan chair, we have been thinking about where to put it. I initially pictured it under the tree behind the patio, but my husband (the creative and inventive thinker he is) wants to try hanging the chair from our tree with stainless steel cables or rope. I’m keeping my fingers crossed for that to happen but have no idea what it would cost. From what I am seeing on-line, a cable kit could be about $35. Keeping this on the conservative side and just going with what I initially thought up, I’m budgeting $20. I have yet to find any better lighting inspiration. Click on the image for the original source. Lighting // I have one sad little string of solar lights strewn across our back fence, so those are going to go up in the tree where they can be put to better use in a smaller area. 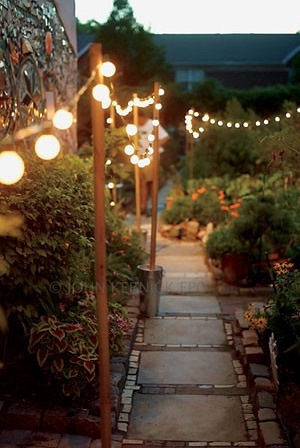 We are also going to buy some globe string lights that will float from post to post, on either side of the patio. The lights I have my eye on are 25 ft long and cost $35, but I’m going to keep shopping because I think I can do better. In order to hang said lights, we will need posts. We plan to use 8 ft. steel T posts, and those run about $7/piece. I’m budgeting about $50 for this. 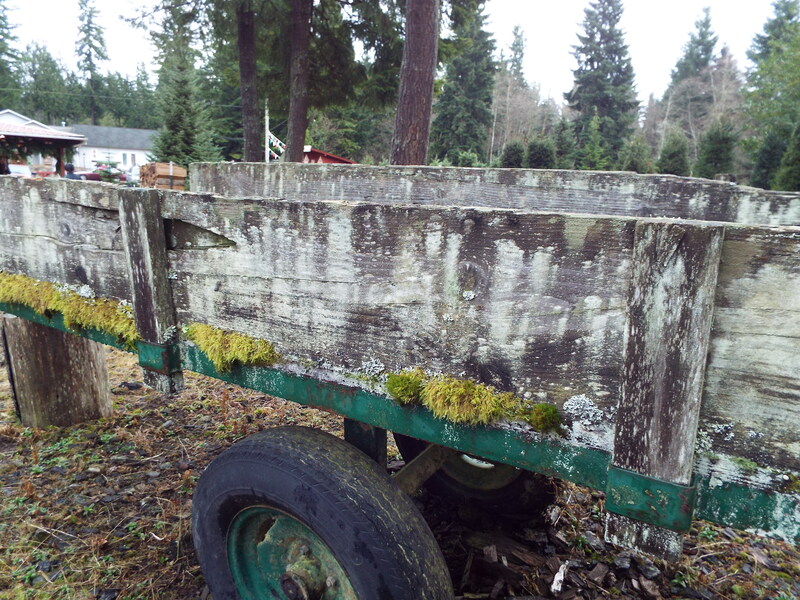 We are looking at a $100 backyard makeover here. Now, all we need is some dry weather, so we can get out there and get started! I can’t wait to share an update on all of this. To put it bluntly, our backyard is a mess. Remnants from the concrete countertop projects are still residing out there, the patio and furniture need to be pressure washed, the wheel barrow is hanging out against the back fence, and most of my potted plants are dead. BUT, I’m so excited to get out there and make it into a little garden dream. I have big ideas, so we need to turn these big ideas into smaller, more manageable ideas. Here is phase one…getting the best ideas in the forefront. Phase two will involve girlfriends, wine, cheese and talking about said “best ideas”. Phase three will be all about planning. Phase four will be, making my garden dream happen. Here are the best ideas and why they’re at the top of my list. Image from Pinterest, original source unknown. Lighting sets the tone for evenings spent outdoors, and it can be something as simple as stringing lights from post to post. I like the idea of our patio being an intimate setting for dinners or an evening adult beverage. We currently have one string of solar lights and it’s just not cutting it, so I’d like to try and make this idea work for us. I will need to add some flowers, plants, and hedges around the yard, close to the house. The color combination here is gorgeous and would really stand out next to our charcoal grey house. 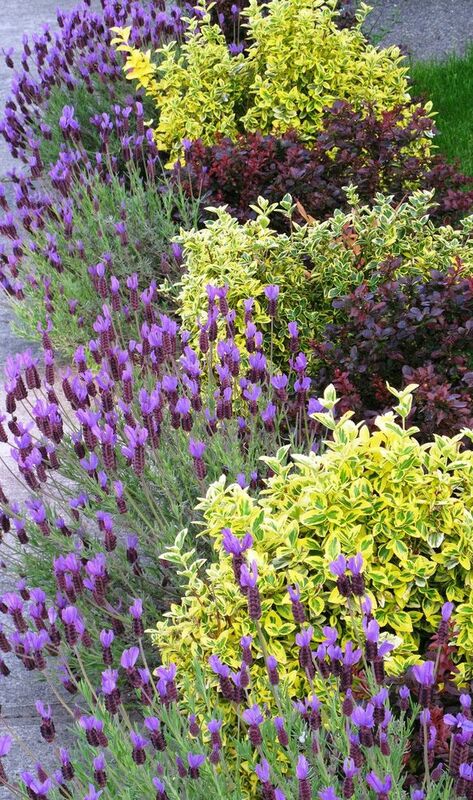 Image from Pinterest, original source is gardendesign.com. We have an old papason chair that hasn’t been used in years, so I’m wondering if we can re-purpose it into something as lovely as this. I could read many books in a cozy nook like this. We have patio furniture but nothing like this. Seeing this makes one want to stretch out and take a nap. So there it is, after much consideration and pinning, my best backyard ideas. I’ll be back with more details next week after my brainstorming session with the girls on Sunday. 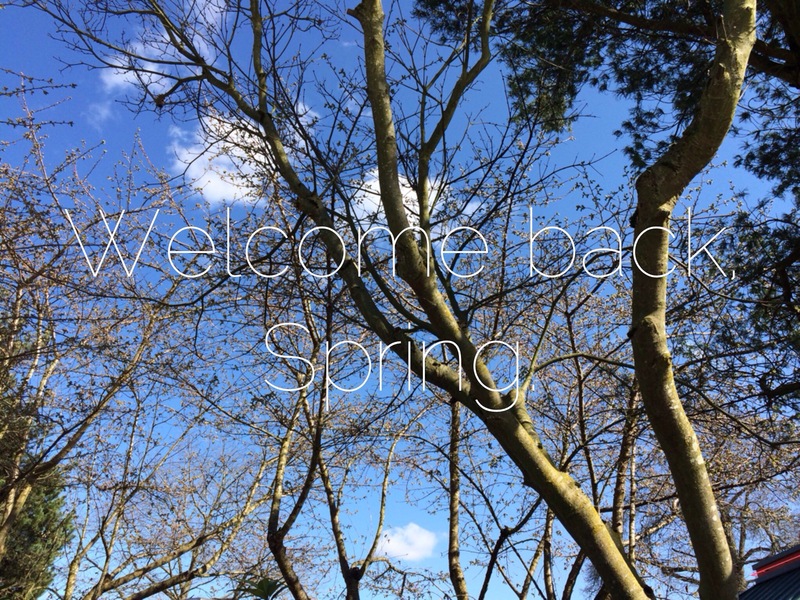 With Spring officially here it is crucial to remember that we still have some chilly weather ahead, but there’s no harm in daydreaming about what I’m going to do with all of our green space this year. 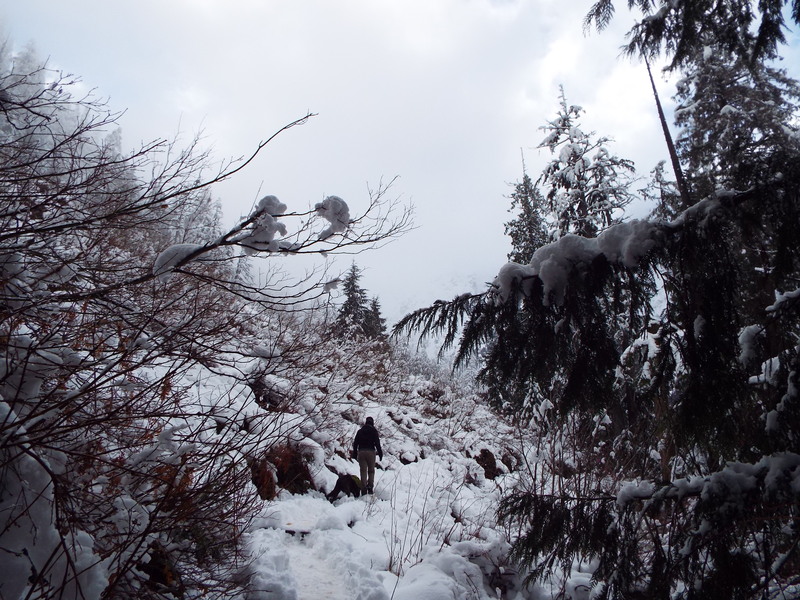 Speaking of chilly weather…the rain is not going anywhere, anytime soon up here in the PNW. I got a sweet text from my sister-in-law this morning, with this brilliant idea. This would be lovely on my porch and totally functional. The rocks provide drainage and a place to house your wet boots after working in the yard. I will be planting some veggies again this year, most likely green beans, tomatoes, bell peppers, zucchini, and carrots. I would really like to try out vertical gardening, using stakes to create teepees. 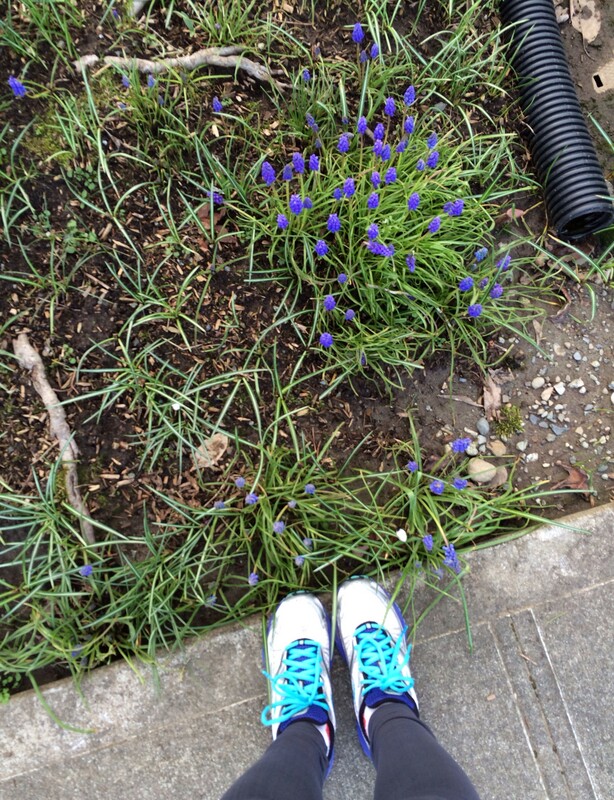 It’s no secret that I love being outside, so with spring here, I’ll be running outside more. There was some sun on the first day of spring here (although missing from this photo), so obviously, I went for a run. The lavender is so vibrant and it’s everywhere in our neighborhood. I normally run in our neighborhood because I adore all of the little ramblers and all of their charm. 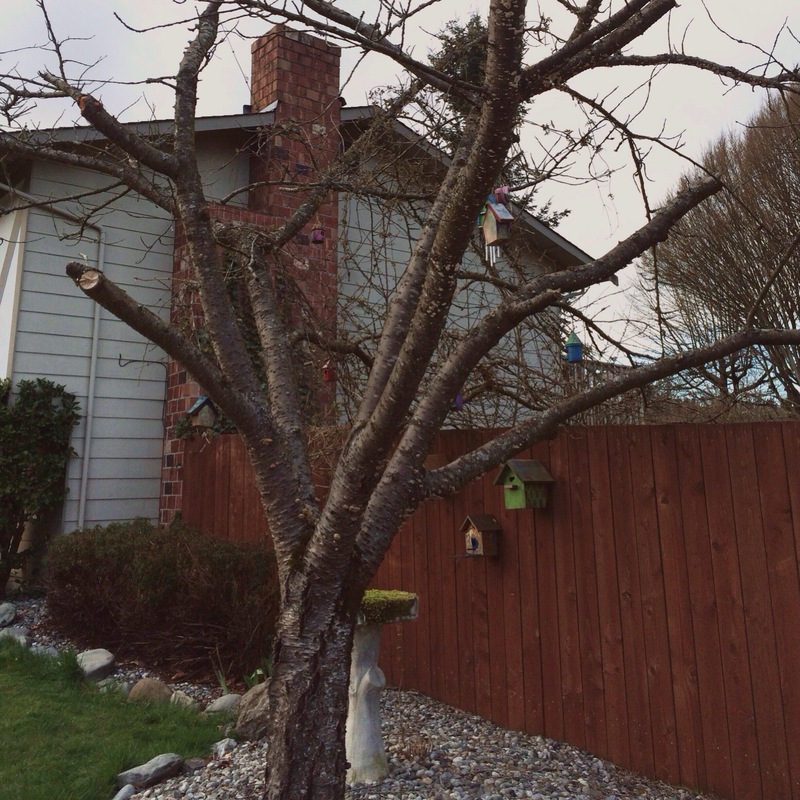 On my run yesterday, I came across these adorable birdhouses in a tree. I’ve been trying come up with some garden ideas for the front and backyard, so I’ll share some inspiration next week. 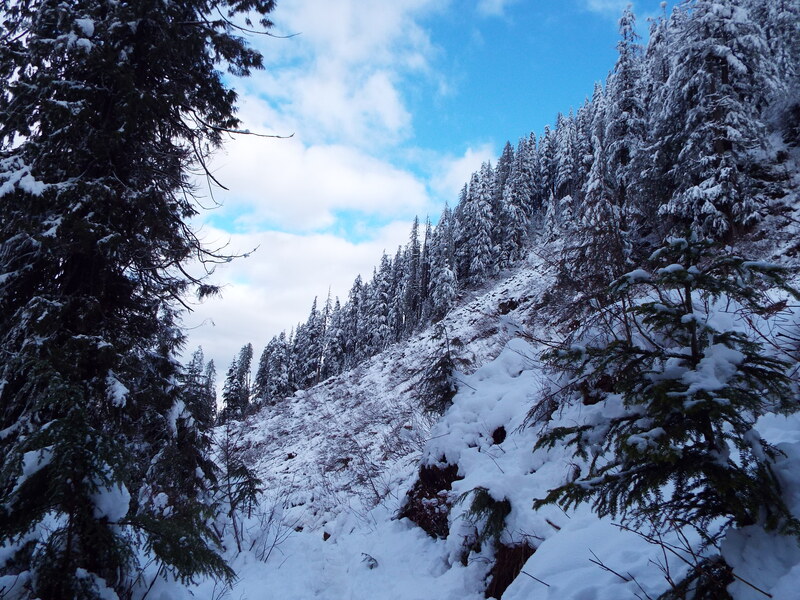 Here we go again, I have another snowy hike to share with you! 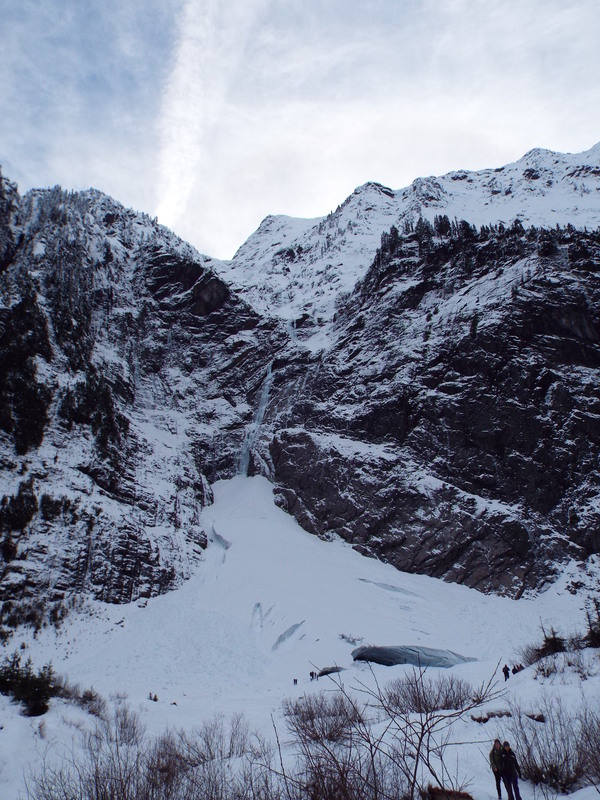 A few weeks ago we went to the Big Four Ice Caves, and we brought sleds and friends, which equals a perfect day. Because it was an easier hike, we got a bit more interest from friends, and knew that we wouldn’t be dead tired afterward, so we made a whole day of it. 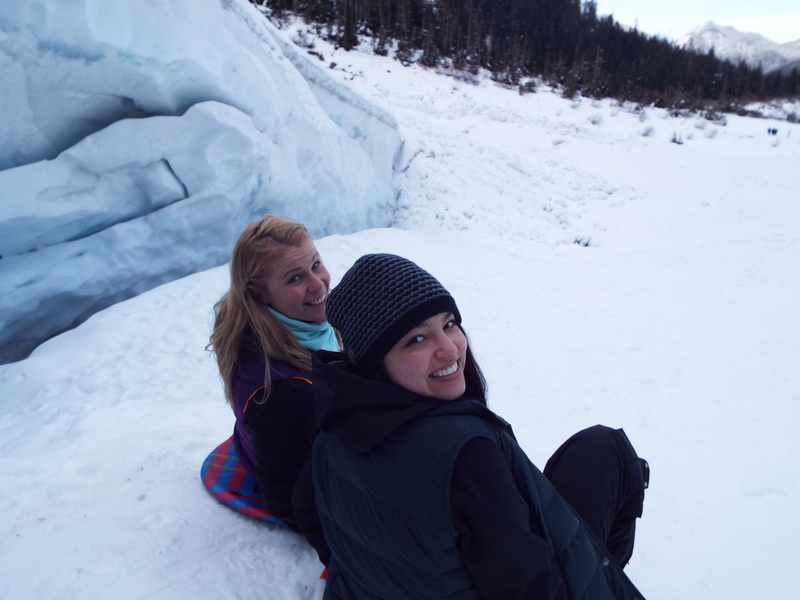 We loaded up our vehicles with sleds and gear, and caravanned all the way there. When embarking on a car ride over an hour long, one must be sure to bring the proper provisions, ie coffee, water, snacks and walkie talkies. Walkie talkies, brilliant. Upon arrival, we suited up and began the trek. Mia led the way! There were beautiful mountain views everywhere you turned. Looking back on these photos, it’s pretty amazing that we lucked out on the weather. Not only was it dry, but the blue skies were just gorgeous. 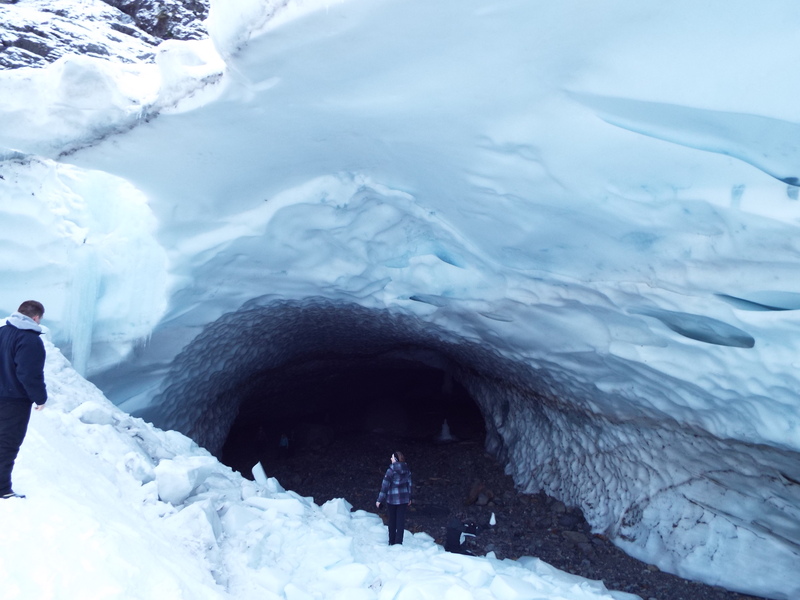 This photo was taken from a good distance, and the size of the ice caves is so deceiving. 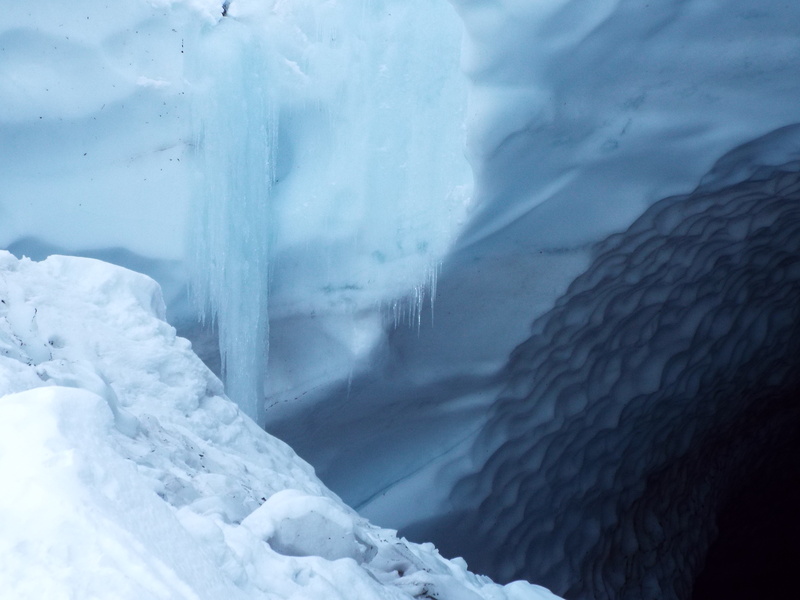 I love this shot because it shows off the icicles and the texture of the interior walls of the cave. It may be cheesy but nature is very, very cool. 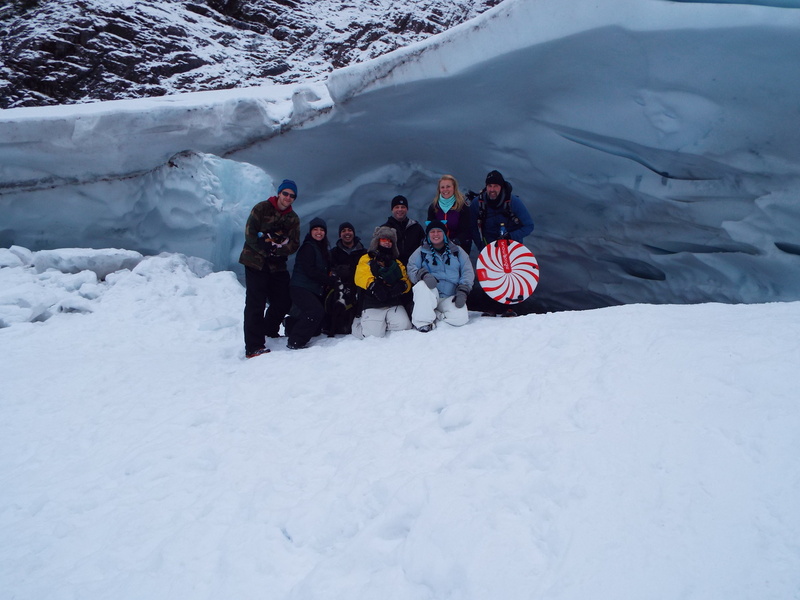 Of our group, no one was brave enough to go into the caves, but you can see in this photo that people were venturing pretty deep into the caves. (Click on this photo to enlarge it and see how far inside the others went.) You could hear water dripping into the caves periodically, and that was enough to make me nervous and keep me well outside. 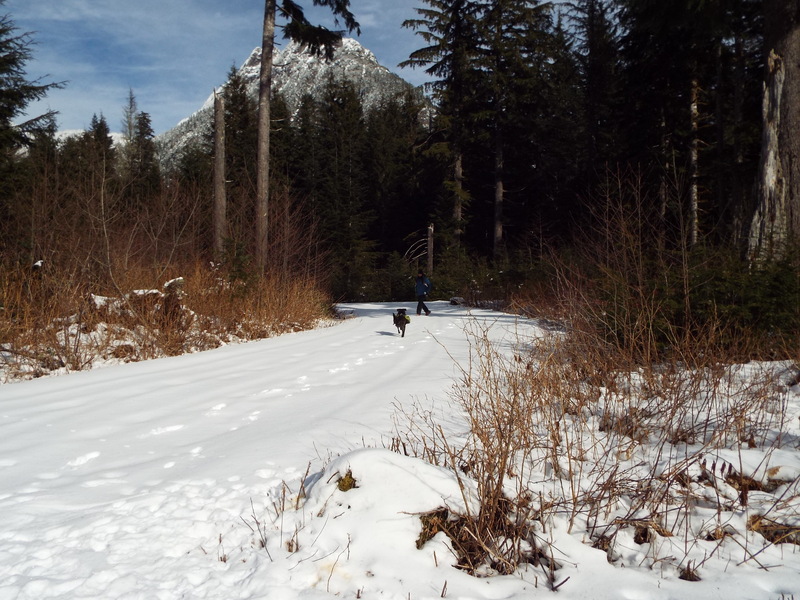 After taking in views, it was time for some sledding. 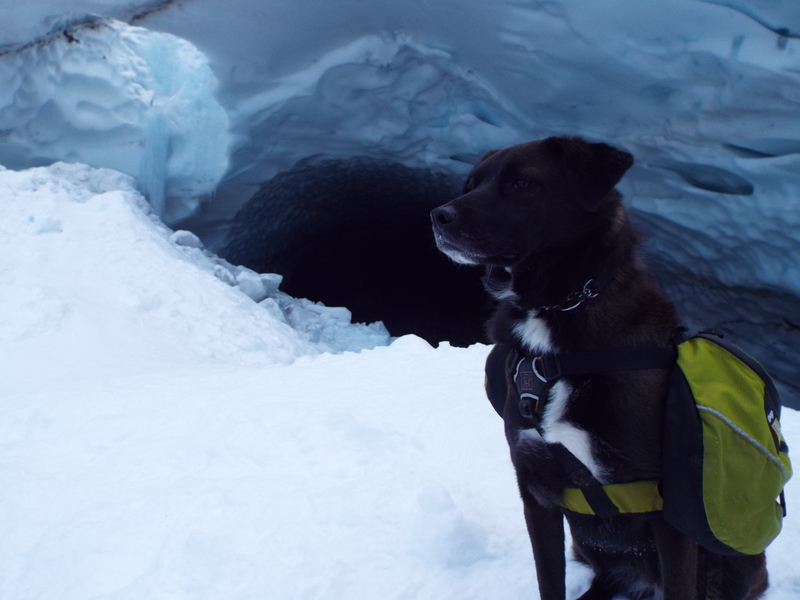 And, time to get a cute shot of Mia wearing her backpack in front of the caves. And top off the day with a group photo. After our fun day, we were ready for some hot food and a drink or two, so we stopped off at LJ’s Bistro & Bar on the way back. We enjoyed happy hour, a cozy atmosphere, and some laughs. 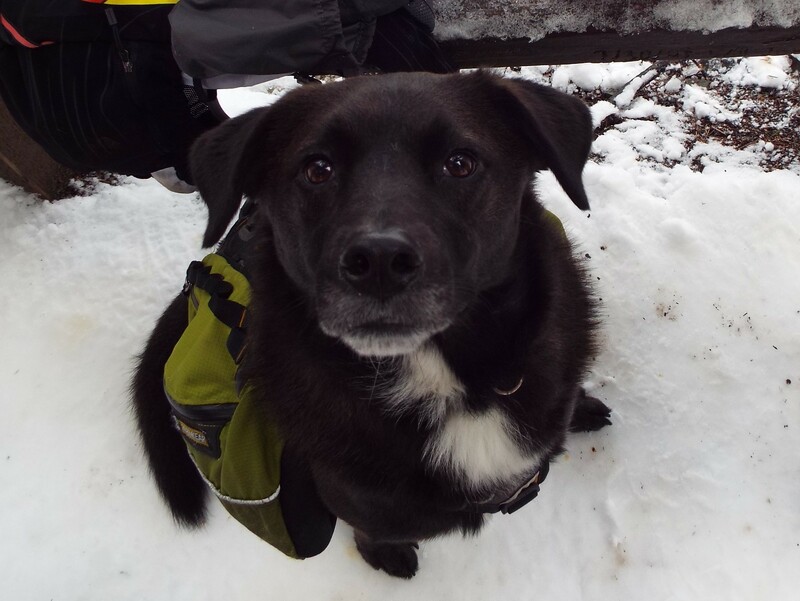 Have I convinced you to go hiking in the winter time yet? 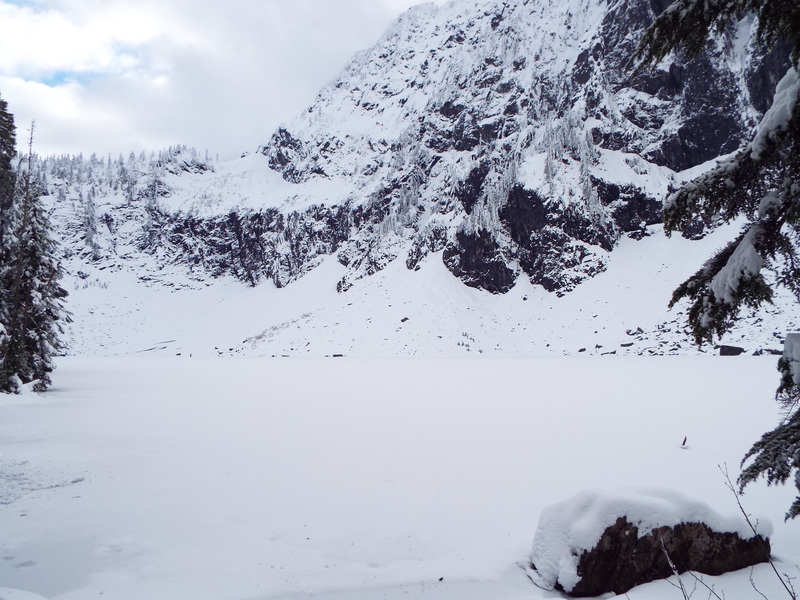 A couple weeks ago we went on a little adventure to Lake Serene (learn more here). 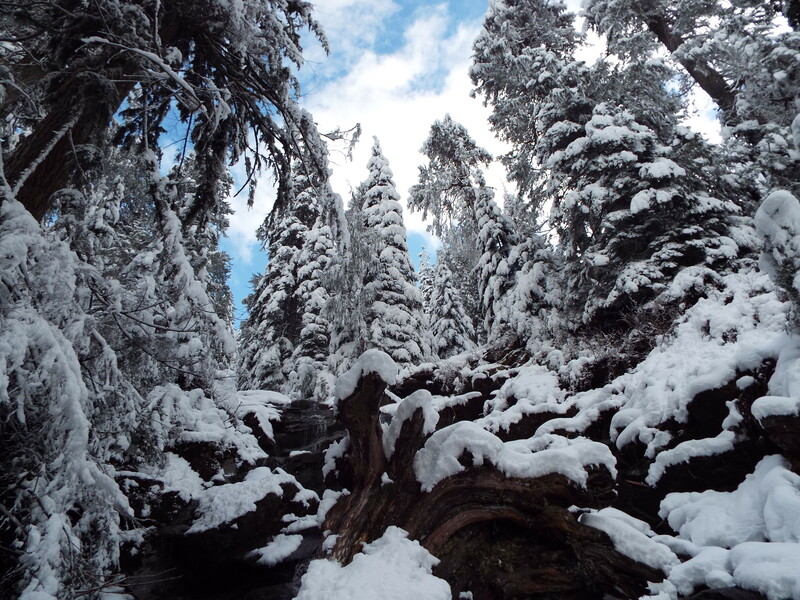 Given the time of year, we were able to enjoy quite the winter wonderland. 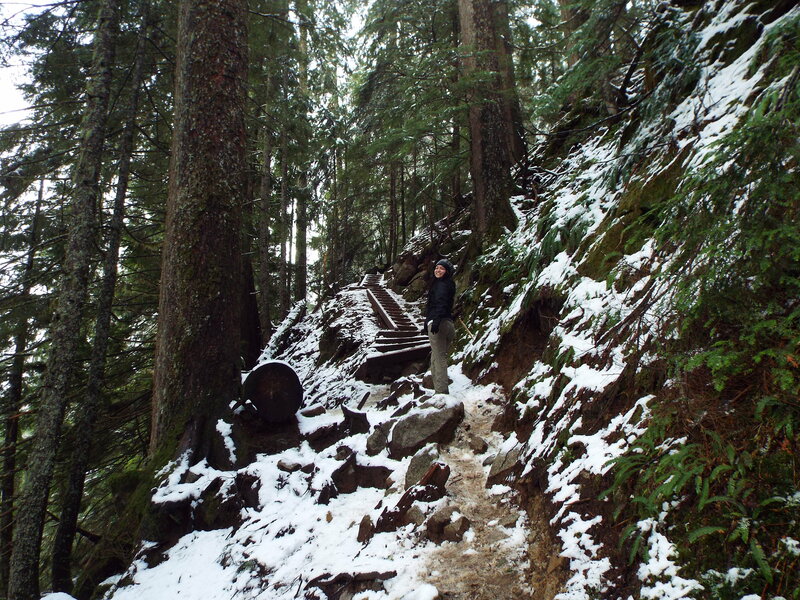 Lake Serene is not for the faint of heart, with a 2000 ft elevation climb in only 3.6 miles, and it features endless switchbacks and stairs. The hike is an out and back, so in total it is 7.2 miles. 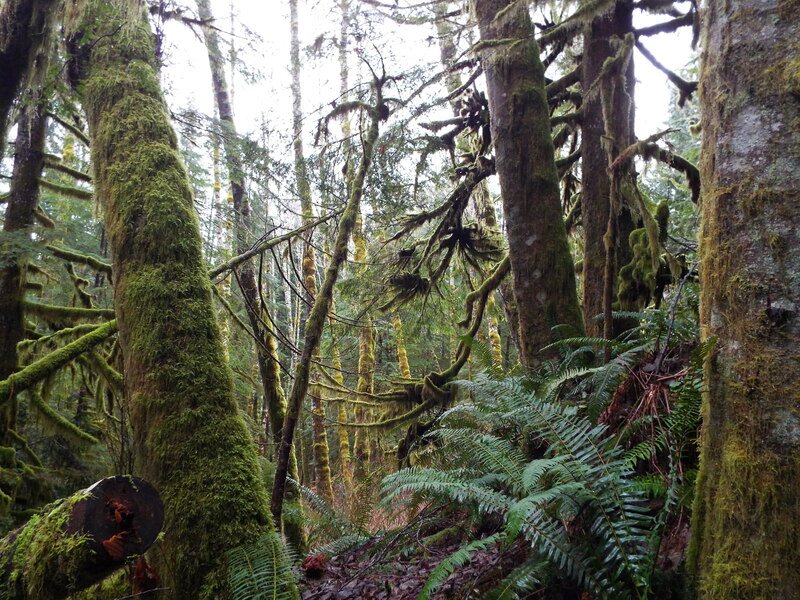 The start of the hike is this incredible mossy, green, rich forest, and it’s calm and flat–the complete opposite of the next 2 miles. 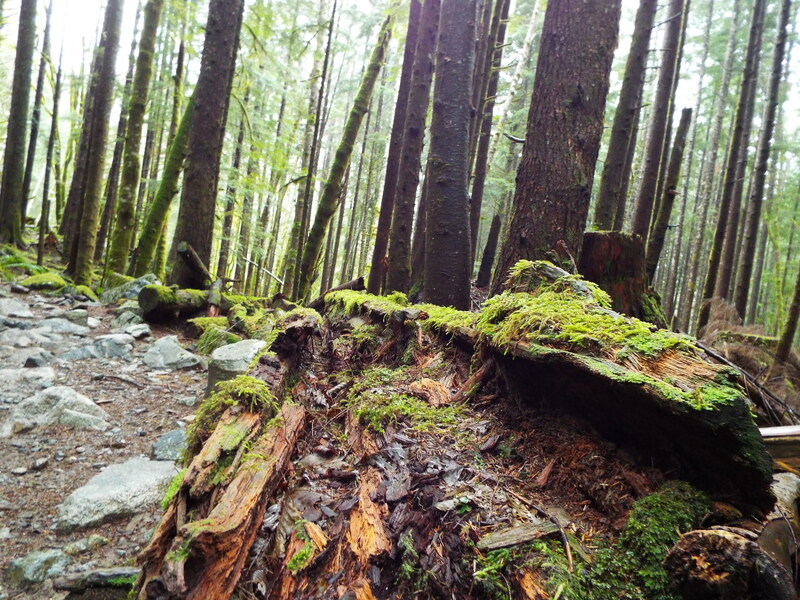 Everywhere you look, moss is strewn from branch to branch, and moss blankets the fallen trees. Out with the green, in with the stairs and snow! 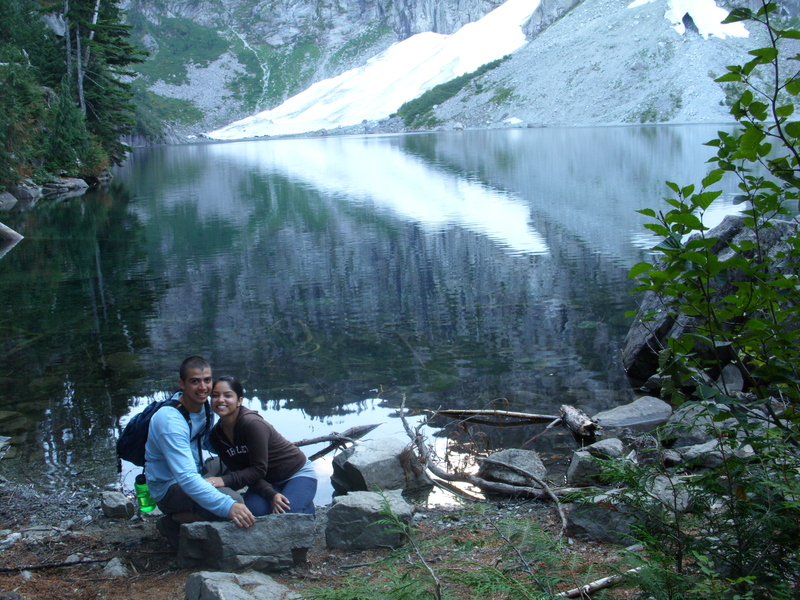 This photo was taken back in September of 2009 when we first visited Lake Serene. It’s amazing to see what it looks like without the snow, and you get this gorgeous mountain reflection on the water. This is a similar point of view as above, but it is just a sea of white. And, I just have to share an adorable pic of our little Mia girl, taking a much deserved break on the hike. 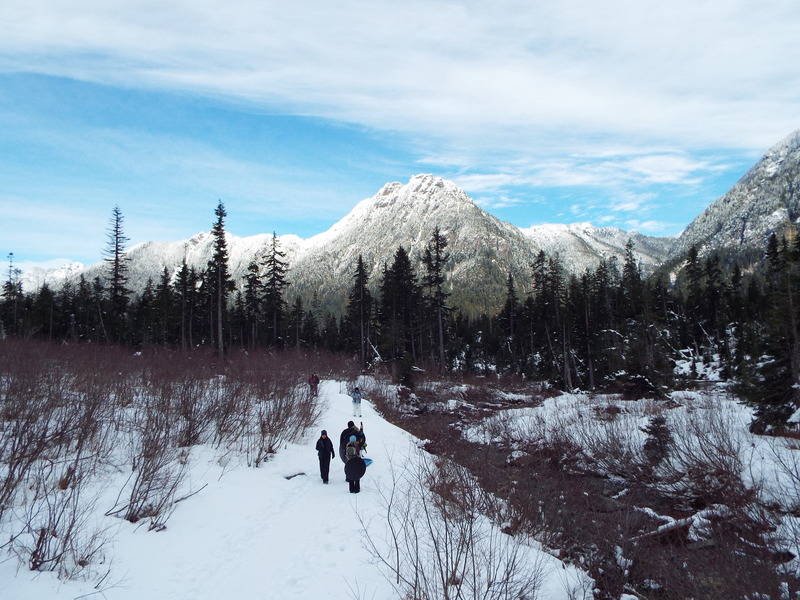 We may be deep into winter here in the PNW, but the great outdoors are not off limits. Get outside and enjoy it! We had a full house this past weekend, and it really made it feel like the holidays, but we were missing an integral part of the Christmas experience…the tree. 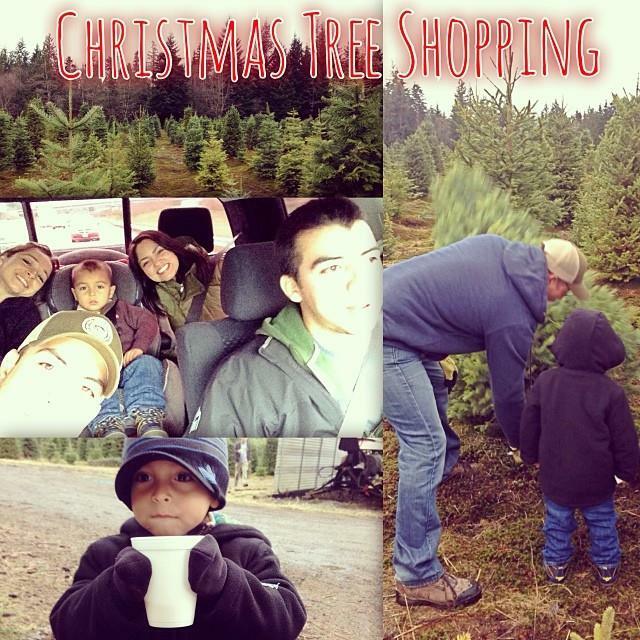 We saved the tree shopping for this family filled weekend, so our nephew could be a part of the fun adventure. 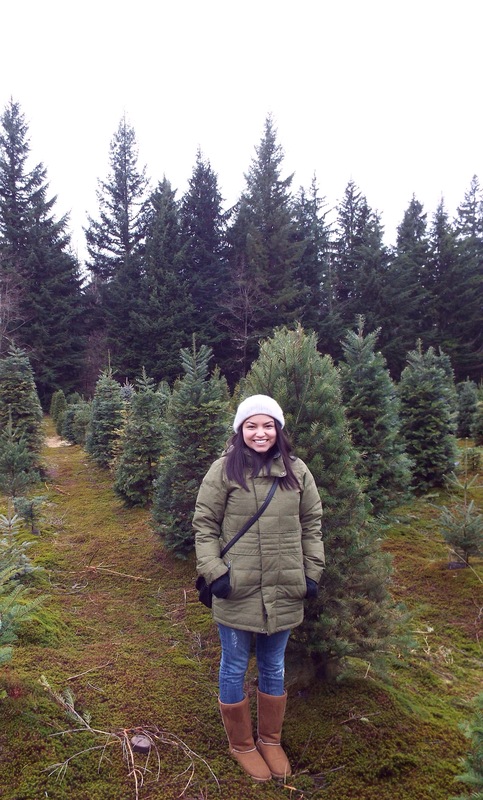 We headed out to Farmer Brown’s Christmas Tree Farm to go choose a tree and then cut it down ourselves (and by ourselves I mean, my hubby, clearly). 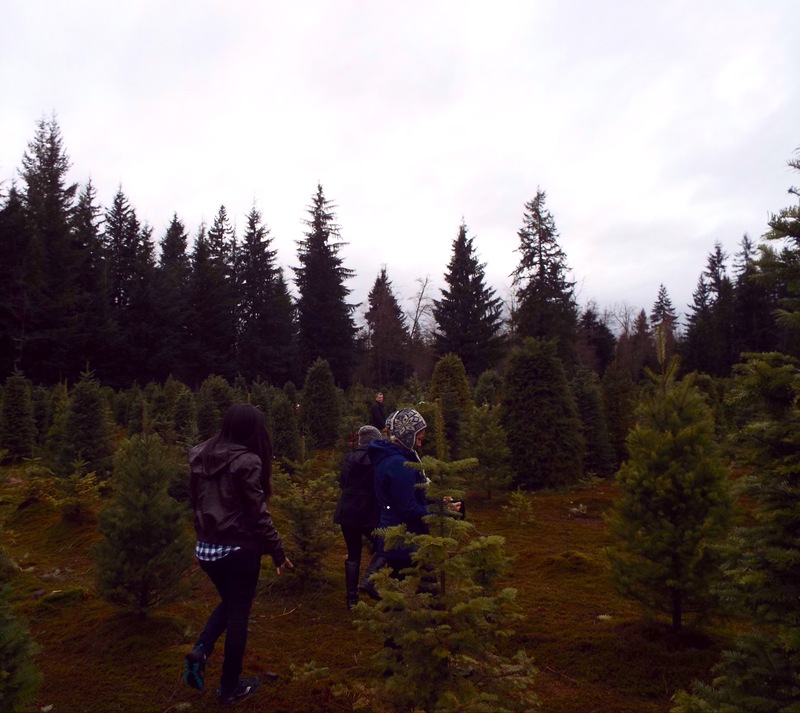 The day was cold and soggy, like most days in the PNW in December, but we were excited and ready to find a tree. 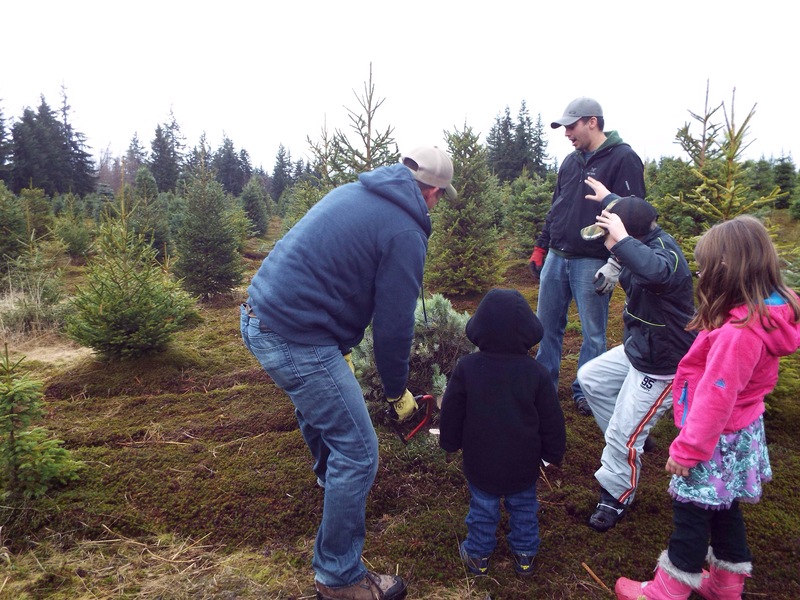 We loaded up the minivan with family, our truck with more family (told you we had a full house), and then met up with a friend and his adorable kids so we could caravan out to the tree farm. The tree farm was a good 45 minute drive, but it was really fun to point out all the horses to my nephew along the way and enjoy the scenery. Upon arrival, you are told where to park, which trees are available, the pricing, and then you are offered a saw, if needed. We showed up equipped and ready to cut down a tree, so we parked, put on our gloves and beanies, and then set out to find the “perfect” tree. There were plenty of shenanigans and photo taking along the way and we found a lovely tree, not perfect because that’s not how we roll, but beautiful nonetheless. We ended the day with some hot cocoa, hot cider, and kettle corn, while enjoying the Christmas carols and watching the kids play. We enjoyed a great adventure and it was made even better because we had our family here to share it. My SIL made this cute collage, complete with a road trip pic and a hot cider pic. 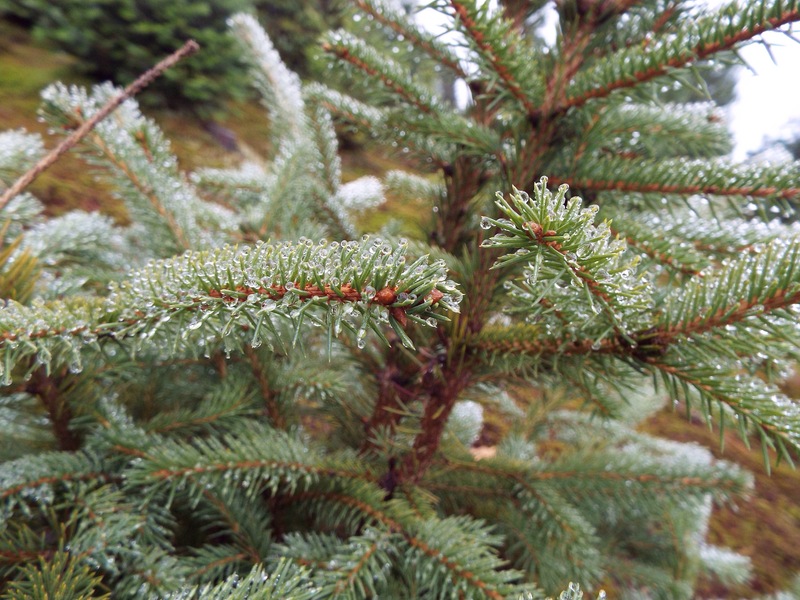 Do you have a Christmas tree tradition?